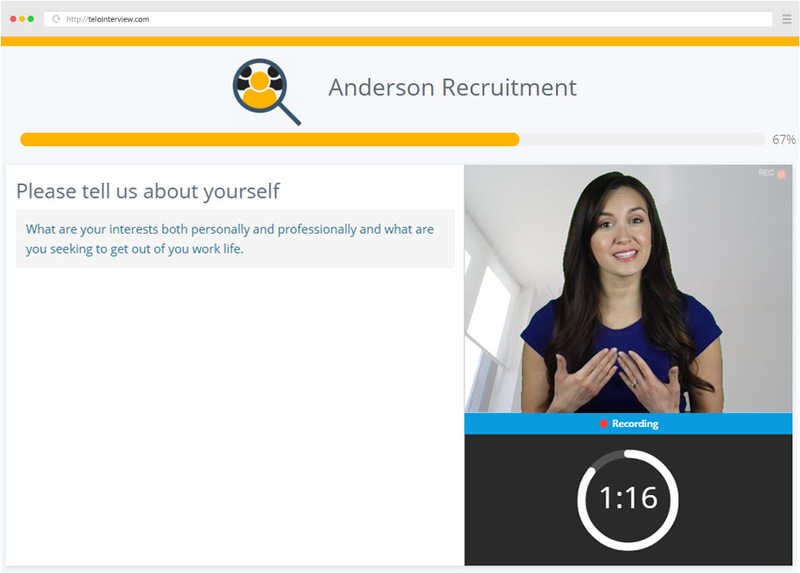 Interview Experience - TeloInterview - Automated video interviewing for those hiring. 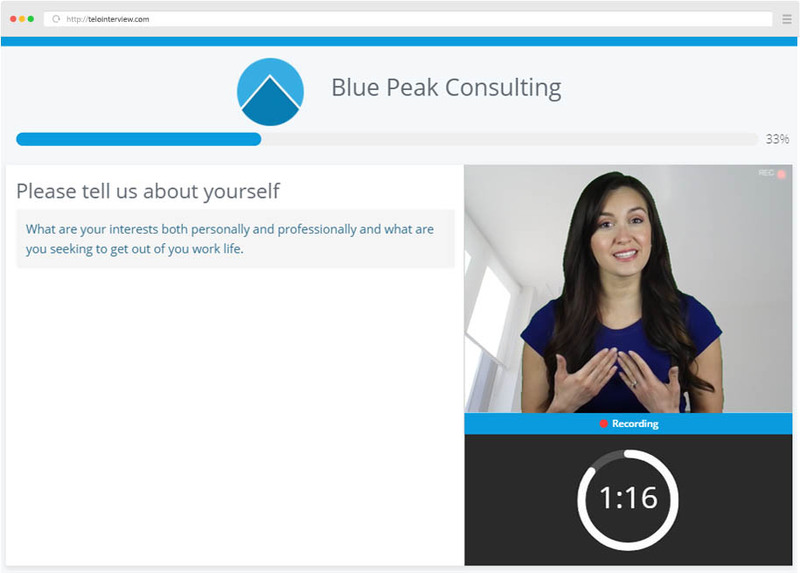 TeloInterview was designed with a focus on the experience of the interviewee. The welcoming and easy to use design enables interviewees to focus on answering the questions rather than being caught up in how it works. TeloInterviews can be completed on any device, we support computers as well as Apple iPhones and Android smartphones. Applicants will love that they can complete their TeloInterview at a time which suits them and without any scheduling. Perfect for those with full time jobs in different timezones. 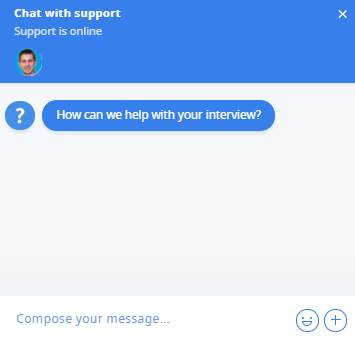 Live chat support is offered to all interviewees in case they have any questions or need any assistance with their video interview. Customize your interview to empower your brand. Add your organization’s logo, pick your brand color and create introduction pages to introduce applicant’s to your company and the role.